What are the possible reasons washing our hands ? 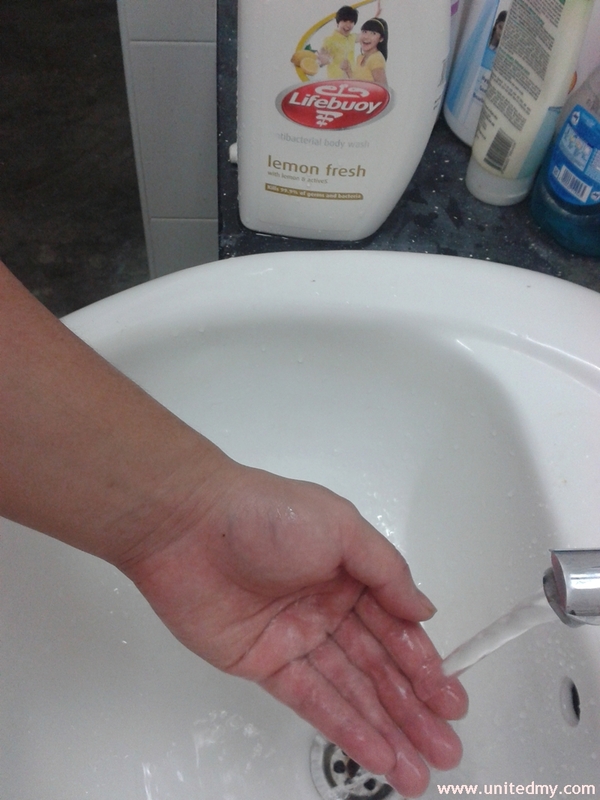 most of us wash hands after a meal (especially Chinese and other ethnic living in Malaysia). The act of washing hands is just too much hassle but if the hands are really dirty, adults are conscious would wash their hands. But, we are not actually talking about before or after meal. To talk about washing hand frequently ! Malaysian are not well educated in the subject of washing hands simply because we are not struck by the disease transmitted by hand. Name one of the deadly disease inflicted through hand shaking, any of your closest friend or relative ?. It was not diabetes or high blood pressure. For example of diseases are heavy colds, running nose, sneeze. Diarrhea give us a perspective is a common and not really life-threatening. However, it was not actually correlated to washing hands. Do you think by washing hands before and after a food laid with many flies's egg would reduce your diarrhea disease ? I believe none. Will you skip a meal because hands were not washed. I am not spreading religious teachings here but seriously take a look at Muslim friends. I think they have a water bowl on the table particularly to address this issue. Besides, that was not for drinking purpose. It's fine if you nearly or been drinking it all the time before reading this article. By the way, most of the restaurants in Malaysia are well equipped a sink for washing hands. It was probably complying one of the health ministry requirements. Moreover, most of it come with a soap nearby the sink. By fact, Malaysian are blessed with high standard of filtered running water too. Reading the star newspaper on October 15, 2015. Convinced to wash hands after nothing has done to my hand. 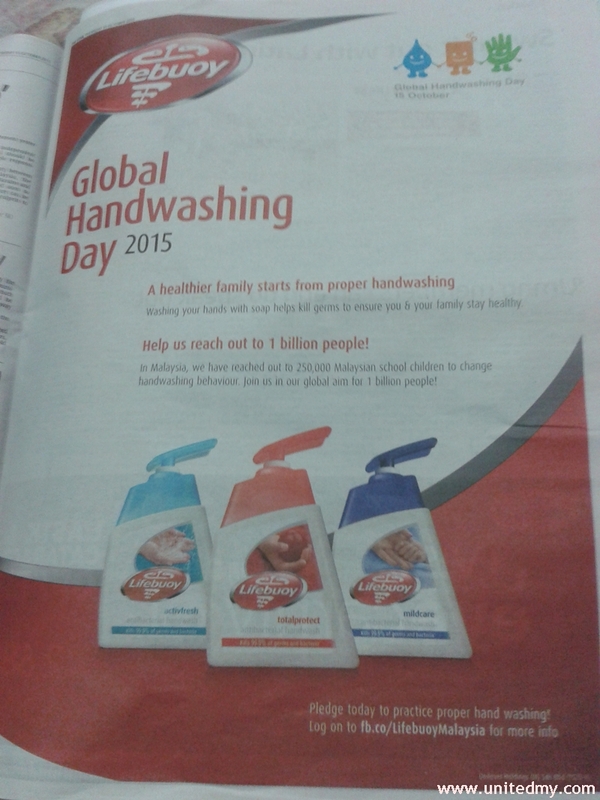 Just wash it for disease not seen by naked eye. Not so sure what are the market share owned by The Star newspaper but, Malaysian are definitely celebrating it with you. To be honest, there were a trend of over-supplying hand soap in the market. Look at the hand soap products on the shelves of every health and cosmetic shops. I guess it high demand from the consumer. Playing the game called honest or dare game, I would choose honest and say that I am not washing my hands before a meal because I did not think my hands were dirty. My conscious is hands are dirty when after meal. Wait a minutes, that was so wrong, how could we have a dirty hands after a meal. Our meal are some sort of "unclean" ? The act of washing hands should not be underrated. Encouraging and do remember wash your hand from time to time. Accidents happen when you least expected !